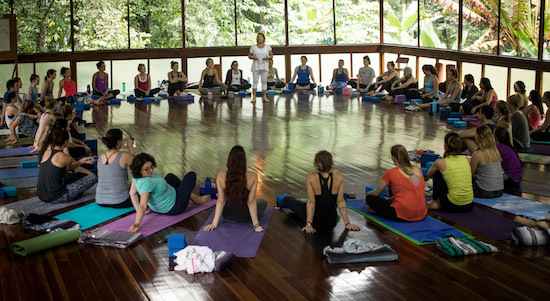 Many people attend my yoga teacher trainings because they’re attracted to a yoga experience in beautiful, tropical Costa Rica. And with good reason! The lush rainforest is nature at its most vibrant, and the pura vida lifestyle will win your heart over. Yet there’s also a lot more to a yoga training experience than meets the eye. Real yoga engages the body, mind, and spirit. By committing yourself to a deep learning experience over days or even weeks, you open yourself to transformation on a level you just can’t get with a single class—or even an ongoing class in your hometown. You are investing in something more precious than simply a vacation—and that’s yourself! Here are nine ways your life will improve after yoga school. You will have created lifetime habits for wellness. We often hear how important “self care” is, but what does this really mean? We are complex creatures. Taking care of yourself physically, mentally, emotionally and spiritually can sometimes seem like a tall order—especially if it seems to make your to-do list longer. The beautiful thing about yoga is that it actually simplifies life because it encompasses wellness in all these ways at once. Deep immersion in a yoga lifestyle for one, two or even three weeks is long enough to establish habits that nourish your body, mind, and spirit–for the rest of your life. Your energy levels will be higher. 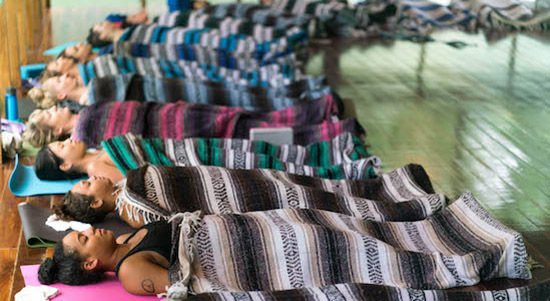 A yoga school experience increases your body, heart, and mind energy in so many ways. Let’s start with our most basic need: getting enough oxygen. Most people don’t know how to breathe in a way that promotes wellness, which can lead to many ailments. 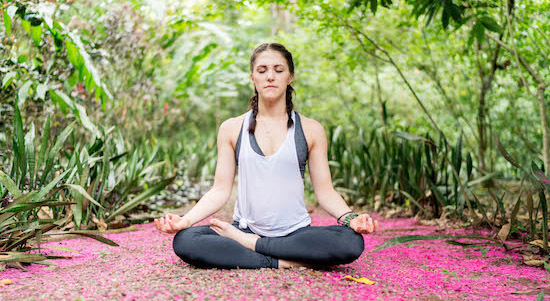 The practice of pranayama teaches deep breathing, and even the deep, regular breathing that accompanies most yoga postures helps deliver oxygen into the system. Clinical studies show that regular yoga practice decreases the stress hormone cortisol, and can be an effective remedy for depression. Committing to your practice daily is also a huge boost to self-love and psychic energy. All these experiences become real in an extended yoga school setting. You will begin to have more vivid dreams. Times of change, transition, and personal transformation often bring a lot of active dreaming with them. These dreams are very vivid, colorful, and feel like a clear message. I experienced this several months ago on a personal retreat in the American southwest. I was not expecting such intense dreams, but I had a whole series that strung together into a story each night. My students often tell me they have vivid dreams during and after my yoga teacher training. If you’re lucky enough to have such dreams, be grateful for them…they’re clues that your consciousness is speaking to you. You’ll open yourself to new opportunities. I’ve often said that the purpose of outward travel is the inward journey. 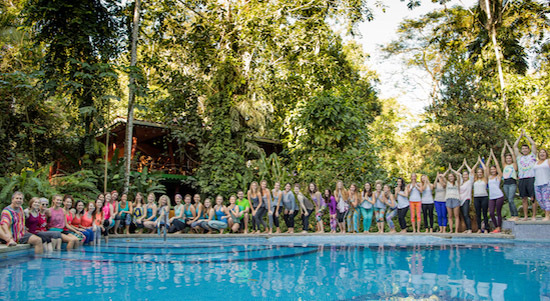 Going to a yoga training in another part of the world is a big step into the unknown. Just by doing this, you’re opening yourself to new direction and flow in your life. If you can stay in that space of open heartedness and welcome all that the Universe has to teach you, you may be amazed before you’re even back on the plane home. My students often report major transformations of their lives after their trainings. Some change jobs or move to new cities. Others jumpstart a new creative project or get clarity on a confusing relationship. Whatever the details of your life, you can trust that you will come out of your yoga school experience with new and refreshing ways of looking at them. You’ll realize the Universe is always talking to you. Whether we realize it or not, there is an infinite consciousness quietly whispering to us at all times, nudging us in the direction of our true purpose. The voice of the Universe takes the form of intuition, a hunch, or “love at first sight”–whether it’s a person, a place, an idea, or anything else that sparks a passion you just have to follow. It can take some time to learn to tune into the “still small voice” speaking to you, but the effort is so worth it. 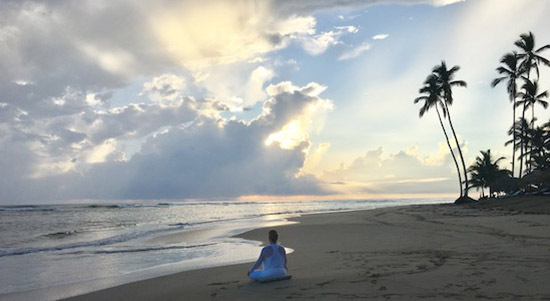 Many students come to yoga school looking for that elusive “something missing” in their lives, and by the end of training they find it in their own inner voice. They just needed to learn to see and feel it for what it is. You learn that life unfolds as it should. The experience of yoga school is a good metaphor for life. At some point in the session, most students hit a point where they feel exposed, challenged, pushed to a limit. In fact, this is true for every single life-changing experience. All spiritual traditions would tell you that without such struggle, growth cannot happen. If you’re like most students, you’ll be called on to flex physical, emotional and spiritual muscles you didn’t know you had. And at the end you’ll be amazed at what you’re capable of. You’ll leave with a new sense of groundedness in your Self—and quiet pride for what you can accomplish. You learn that even when you meet the unexpected, life unfolds as it should. You understand all of life’s experiences as lessons your soul needed to learn and grow. As you grow in your ability to trust the process of a deep yoga practice, you will begin to see all of life’s experiences as lessons your soul needed – even the ones that feel like failures when they happen. In other words, the pain and struggles that are part of every person’s journey are the cloth that polish the rough spots out of our lives until our inner selves are revealed. Without this agitation, our true natures can’t shine. You see your purpose in life…and discover yourself. Yoga has taken off in popularity in part because it helps strengthen and tone the body. But the deepest aim of a yoga practice is much more than asana. This goal is to help people discover their purpose in life—that is, to realize connection with Self, others, and Atman, or God. 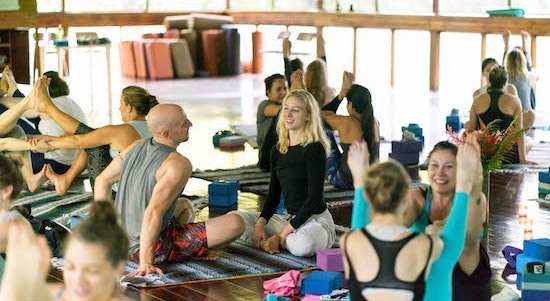 When you commit yourself to the rigor and discipline of a yoga school experience, you cannot help but connect with this higher source—and yourself. As many of my students’ stories show, you will see your purpose in life with new clarity. Even if that purpose evolves and shifts over time, you will begin to learn to live in the moment that you inhabit right now, and gain a clear vision of where to go next. And finally: you experience love all around. Whew. That’s a long list of beautiful, soul-ful benefits of an intensive yoga training. There’s only one place this could all end up: that at the end of your training, you see love everywhere. 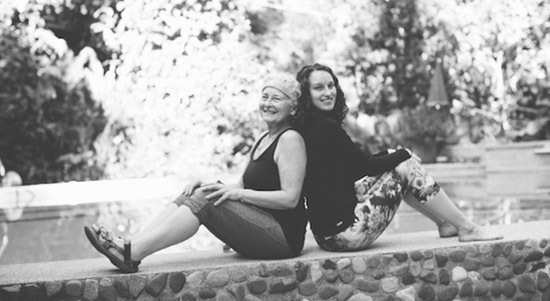 One of the most profound reasons to go to a yoga training away from home is that you’ll be joined by other like-minded souls and do the journey together. You’ll leave with lifelong bonds with people you’ll never forget. There is no substitute for this connection. Recent research has discovered scientific proof that we need each other to heal, grow and live our best lives. We can’t get there by just thinking, reading a book, or even by doing a lot of yoga poses in our homes. The deepest transformation happens when we undertake the transformation with others. And those are the real gifts of a yoga school experience. I love this! I had the pleasure of training with Marianne in December of 2016 at the Goddess Garden Resort. It was the best and most challenging experiences I have had. From travelling alone, to lying on a floor next to 40 strangers I learned that being scared is okay, being challenged is okay, not being ‘bendy’ is okay, and that not having expensive yoga pants is okay. 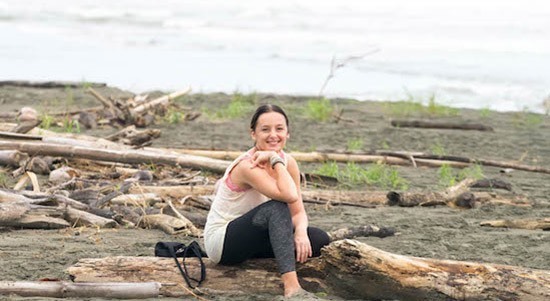 Yoga training, with someone as experienced as Marianne, draws together your heart, mind and body and allows for one to be ‘flexible’ where it really and truly counts—the mind.